Your eyes can be a defining feature of your appearance, and you want to highlight their most attractive characteristics. 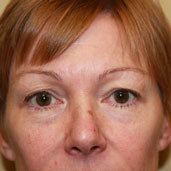 For patients with sagging skin around the eyes that causes a tired-looking appearance, eyelid surgery performed by the doctors at Northwest Plastic Surgery Associates in Missoula, MT, can help you look more alert and years younger. Medically known as a blepharoplasty, this procedure eliminates excess skin that causes drooping upper eyelids, and sagging below the lower eyelids. Board Certified plastic surgeon Dr. Stephen P. Hardy can perform an eye lift that gives you a brighter facial appearance and boosts your sense of self-confidence. As we age, our skin invariably begins to lose elasticity. The area around the eyes, where the skin is thin and delicate, is particularly prone to losing its youthful shape and contours. Upper eyelids may begin to droop, making you appear tired, sad, or several years older. In severe cases, upper eyelid skin can sag low enough to impair your field of vision. 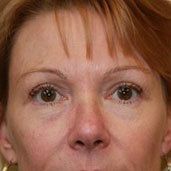 When the area beneath the eyes succumbs to the effects of age, the appearance of puffiness or bags may be exacerbated. In other instances, the lower lids can sag noticeably, sometimes to the point that the white portion of your eye below the iris is exposed. Dr. Stephen Hardy offers many facial plastic surgery procedures, including facelifts, brow lifts, and eyelid lifts to help rejuvenate and reverse the effects of aging and to give patients a more youthful look. At his Missoula practice, Dr. Hardy performs a facelift, brow lift, and eyelid lift with a goal to provide each patient a beautiful, natural and long lasting result. What Will My Surgery Involve? Blepharoplasty is a relatively quick procedure that is performed on an outpatient basis. After you have received general or local anesthesia, your surgeon will create very small incisions that are carefully concealed in the folds of your eyelids. If you are having upper eyelid surgery, the incision will be placed along the eyelid crease. Dr. Hardy will tighten the underlying muscles and remove excess skin to create a more youthful appearance. For lower eyelid surgery, Dr. Hardy will make the incision along your lash line, or in some cases, just inside your lower eyelid. Excessive fatty deposits will be excised, and skin and connective tissues will be smoothed for an even look. Recovery from eye lift surgery is typically quick, straightforward, and involves only minimal discomfort. During the first few days, you may experience some minor irritation, sensitivity, or visual changes, such as blurred or double vision. Following your doctor’s aftercare instructions will do much to expedite your healing time and reduce discomfort. Most patients will take about a week away from work, although swelling and bruising may be noticeable for a short period of time thereafter. As the initial swelling begins to subside a few days after your surgery, you will begin to see the results of your procedure. Lifted upper eyelids will reveal improved contours from lid to brow. Patients with previously blocked vision should have a restored field of sight. The appearance of bags or drooping under the eyes will be remarkably less noticeable. Patients should keep in mind that an eye lift is designed to treat the area immediately above and below the eyes. Anatomically adjacent areas, such as the brow or cheeks, will not be affected by an eye lift. Your doctor can give you a good picture of your expected eye lift results, and help you identify concerns that may need to be addressed with another type of cosmetic facial surgery. In some instances, an eye lift is not the most appropriate way to overcome drooping eyelids. A sagging brow can contribute to collapsing upper eyelids, making a brow lift the better method of achieving the outcomes you envision. If you would like to learn more about how an eye lift can rejuvenate your image, reach out to us online today. You can also speak to us directly by calling (406) 728-3811.